Strength: The maximal force that a muscle or muscle group can generate at a specific velocity (Essesntials of Strength Training and Conditioning, Baechle and Earle). Here's Tamara working on just that here, in arguably the most important strength training position known to man. 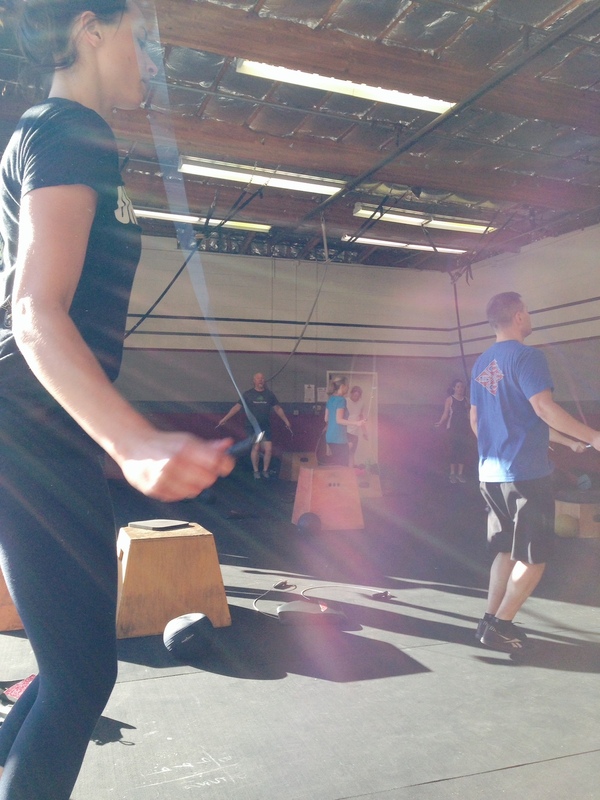 Here's Danielle, Matt and the 9am group working on their conditioning via jump rope. Back squat x 3 sets - 20rep set, 12-15 rep set and a 7-10 rep set.